Driving backroads on a gorgeous early fall day several years ago, I couldn’t resist the sharp turn that is the inconspicuous entrance to the Agricultural History Farm Park. Past the large barn, farm equipment displays and the entrance to some hiking trails along the way, a funny little sign on a hill caught my eye. Climbing a short staircase brought me face to face with some of the largest flowers I had ever seen in an otherwise unassuming little fenced-in garden. 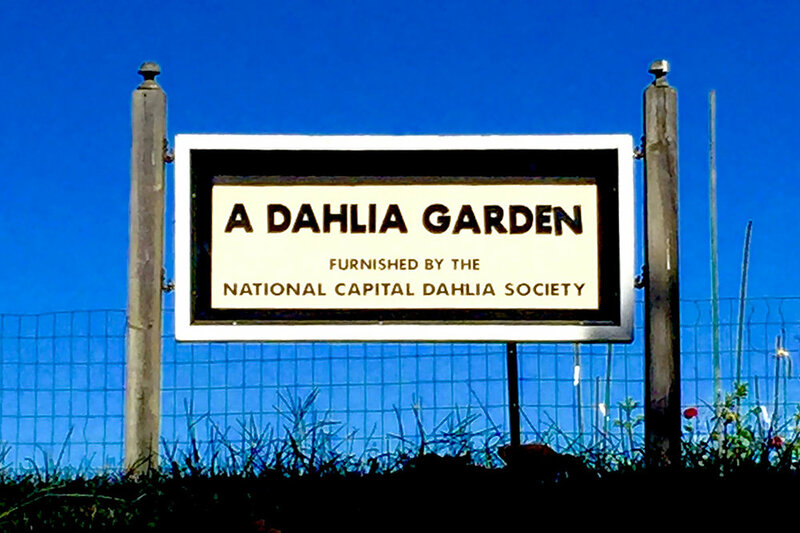 The modest garden was created by a society of DC-area dahlia enthusiasts to showcase outstanding varieties, but this small garden packs a big punch. When set against a crisp, blue sky, and surrounded by rolling green hills and picturesque cornfields, these gargantuan blooms take center stage. 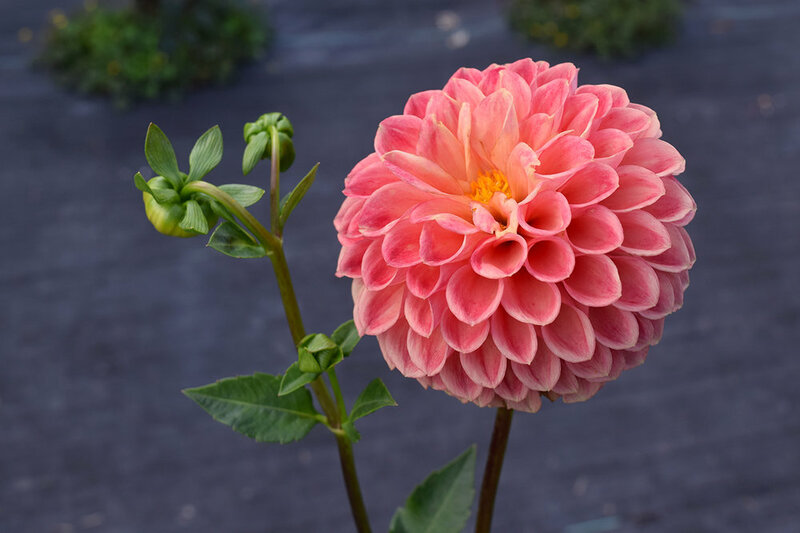 There are roughly fourteen different groups of dahlias that take various shapes, like the single-flower, ball, pompon, cactus, and fimbriated varieties, as well as the single-orchid star bloom. 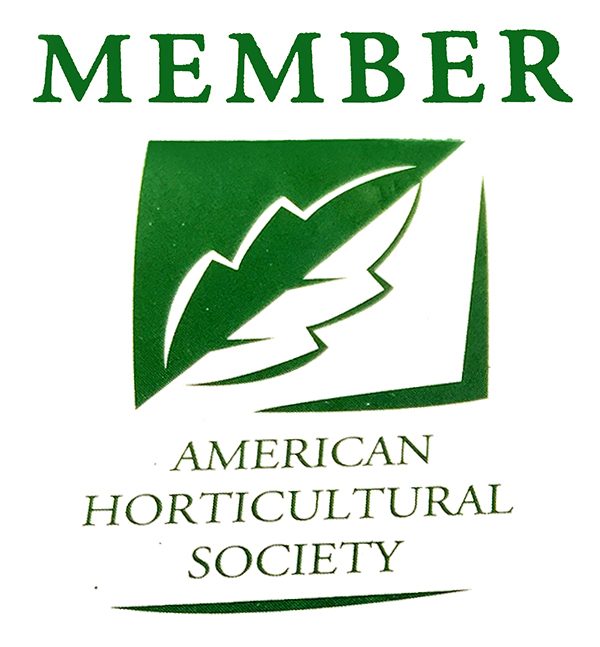 The way the garden is set up, you are led from one cultivar to the next. You can’t help pausing to marvel at the complexity of floret structure or the way one wild color bleeds into another. Each plant projects its own kind of personality in the way it presents its unique flowers forward. I’m always slightly amused at the dramatic postures some of the larger flowers strike as the blooms weigh down their stems, leaning heavily against support poles or even collapsed “face” down across the tarp below.